Does Tuscaloosa County Home Care, Inc offer the following services? Each ZIP code that Tuscaloosa County Home Care serves is highlighted on the map above. They have a receptionist to route calls but it doesn't matter which department she sends you too. No one answers the phone, any day of the week or any time of day. If you need to make an appointment you have to drive down there. Don't expect ANYONE to EVER return a message. I have been calling every day for 2 weeks and leaving a message. At this point I am still calling just to see if they will ever return the call. The Tuscaloosa WIC Department is the most unprofessional establishment I have ever visited. They NEVER answer the phone and no matter how many messages you leave, they will not return your phone calls. You have to drive all the way to the office to schedule or reschedule an appointment. 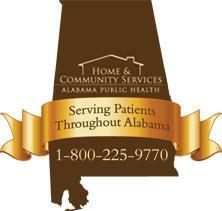 Tuscaloosa County Home Care serves ZIP codes that encompass all or part of each of the cities listed below.